Man, it felt good to go in the gym. 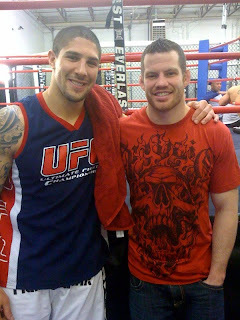 @BrendanSchaub, Paul Buentello, Eliot Marshall and Cody Donovan were sparring and looked great. I can't wait to work out next week.